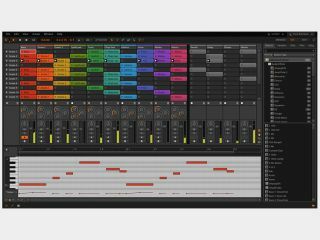 Bitwig Studio's release date is getting closer. You wait half a year for a new Bitwig Studio video, and then two arrive in less than a month. Following the beta song clickthrough, we now have another clip that runs you through some of this new DAW's more significant features: give it a watch above. In other news, it's been confirmed that beta testing of the software has begun, while a new FAQ page on the Bitwig website reveals a couple of points of interest. Notably, it's been confirmed that the collaboration features that were talked about when the DAW was announced in January won't be implemented until version 2.0, and AU support won't be in place at launch either (though this may be considered later on). We still don't know how much Bitwig Studio will cost and when it will be released, but once we do, we'll be sure to pass that information on.